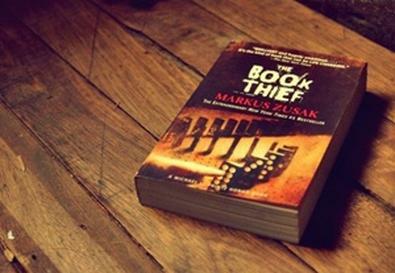 Casting director Donna Isaacson is seeking child actors to submit online video auditions for "The Book Thief," the long-awaited film adaptation of Marcus Zusak's bestselling young adult novel. The book is set during World War II and tells the story of Liesel Meminger, a young foster girl living in Germany who survives by stealing books and bringing them back to her foster father and others. The film will be directed by Brian Percival, the BAFTA- and Emmy Award-winning director of the hit British soap "Downton Abbey," from a screenplay by Michael Petroni ("The Rite," "The Dangerous Lives of Altar Boys"). Karen Rosenfelt ("Twilight") is producing for Fox 2000. Production is scheduled to begin this summer. Isaacson is currently casting one boy and one girl, ages 9-14 years old. To audition, children must record a video in which they answer the question, "Why have you not done your homework?" Each video audition must include three versions of the answer: a truthful, logical, and reasonable explanation; an outrageously over-the-top, made-up story; and a sad, emotional, real excuse that is almost too difficult to talk about. For more information and to apply, view the full casting notice on BackStage.com. (Subscription required.) The deadline for entries is June 15. Submissions are only being accepted from talent in the U.S. and Canada, but both union and nonunion actors are welcome to apply.